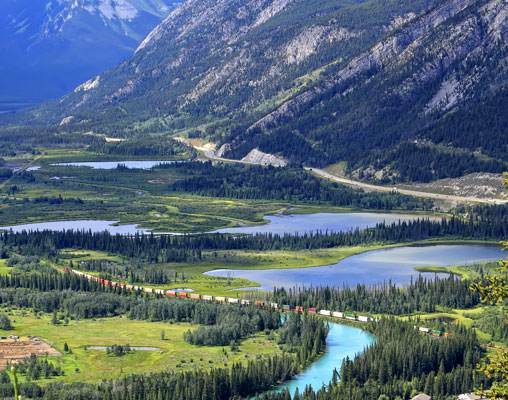 This breathtaking tour crosses Canada using the scenic railroad. 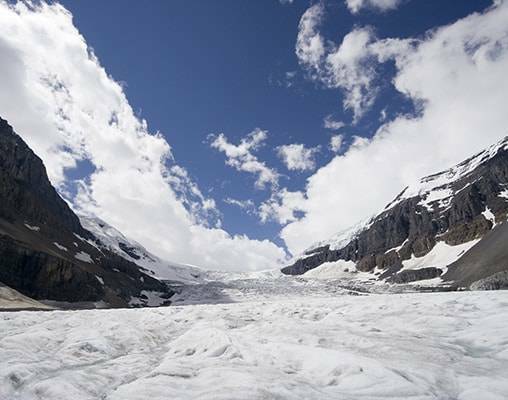 It features spectacular scenery, including an excursion to Niagara Falls, where you’ll enjoy a cruise to view the falls from the river level; an excursion from Jasper to Maligne Lake, the largest glacially formed lake in the Canadian Rockies, where you’ll cruise to Spirit Island; a thrilling Ice Explorer ride on the 750-foot-deep Columbia Icefield; a stop at stunning Lake Louise with its green-blue waters forming a perfect mirror reflection of Mount Victoria; and much more. In Toronto, board the art deco cars of VIA Rail’s The Canadian train for the highlight of this Canada tour…your 3-night rail journey through Ontario, Manitoba, Saskatchewan, and Alberta. Watch the scenic countryside, lakes, and sun-dappled forests from your windows as you relax in first-class, refurbished cars from the 1950s. Enjoy premium service, exquisite cuisine, and incredible views as you sit back and enjoy this marvelous train journey. 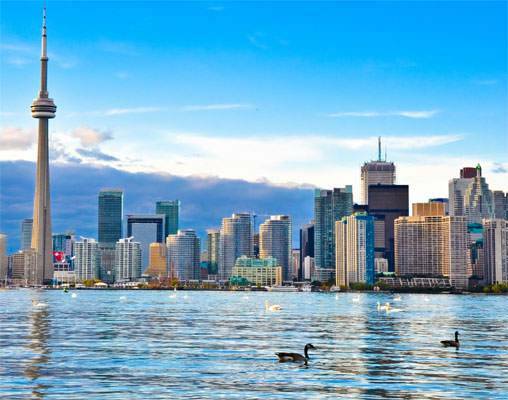 Experience out-of-the-ordinary adventures on this Canada tour. 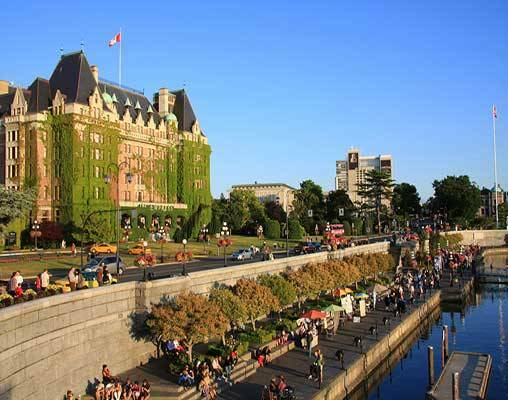 In Victoria, learn why Victoria is considered Canada’s most haunted city during a private presentation by a storyteller and historian. 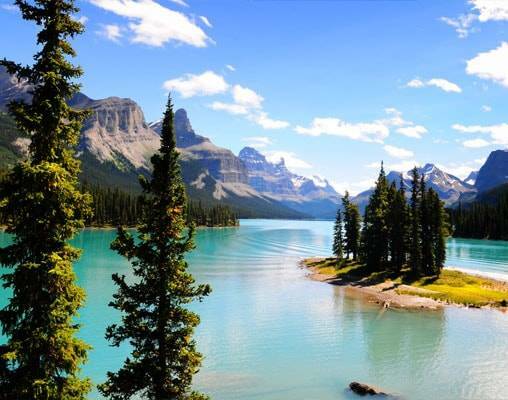 Other fun included experiences are a narrated scenic cruise on Maligne Lake to see famous Spirit Island and an amazing dinner with stunning views atop CN Tower in Toronto. 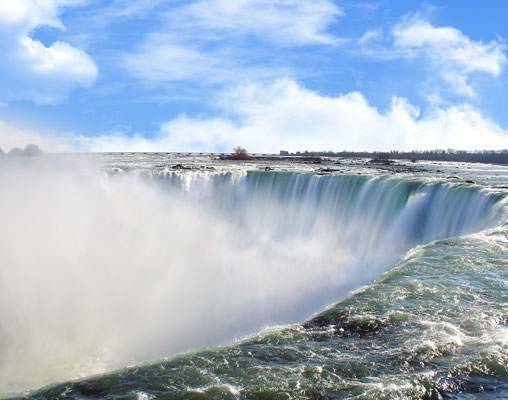 Operation of the Niagara Falls sightseeing cruise is subject to favorable weather and/or river conditions. Favorable conditions usually exist from May to mid-October. When the weather is unfavorable, a walking tour through the scenic tunnels will be substituted. On VIA Rail, beds in your private cabin are arranged by day in arm chair style. By night, beds are converted to upper and lower bunkbed-style arrangement. Guests must be able to climb a ladder to reach the upper bed. Train travel is subject to unforeseen delays. Hotel accommodations include the Marriott Toronto Downtown Eaton Centre, Chateau Jasper, Banff Park Lodge, Delta Grand Okanagan Resort (Kelowna), Delta Victoria Ocean Pointe Resort, and Westin Bayshore Vancouver. 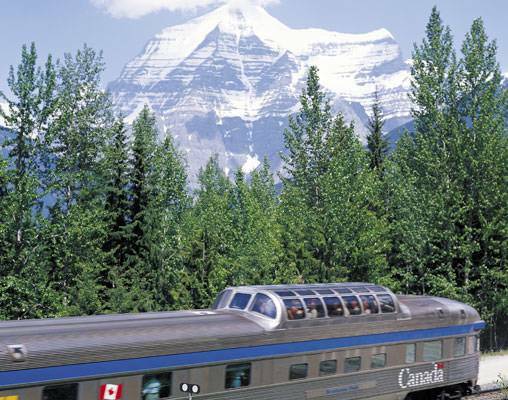 Click here to view testimonials for Great Canadian Rail Journey. Our tour guide and bus driver were excellent. Very professional, knowlegable and lots of fun. The train cabin was smaller than I thought it would be but service on the train was excellent. Enter your details below if you would like to be notified when 2020 dates and prices are available for Great Canadian Rail Journey. Prices are correct at the time of publication, however are subject to change at time of booking. Hotel and Rail accommodations listed above, are subject to change based on availability at the time of booking. Prices are in USD. Any applicable Goods and Service Tax (GST) and/or Harmonized Sales Tax (HST) for Canada are additional. Taxes will be calculated and listed at the time of booking, prior to payment being collected. Prices are land-only, per person based on double room occupancy.